Rotary Botanical Gardens’ heirloom collection is a specialty garden featured in 2016 and 2017. It presents over 100 varieties of plants that were cultivated in American gardens in the 19th century, an important era that provided the basis for much of today’s modern gardening. 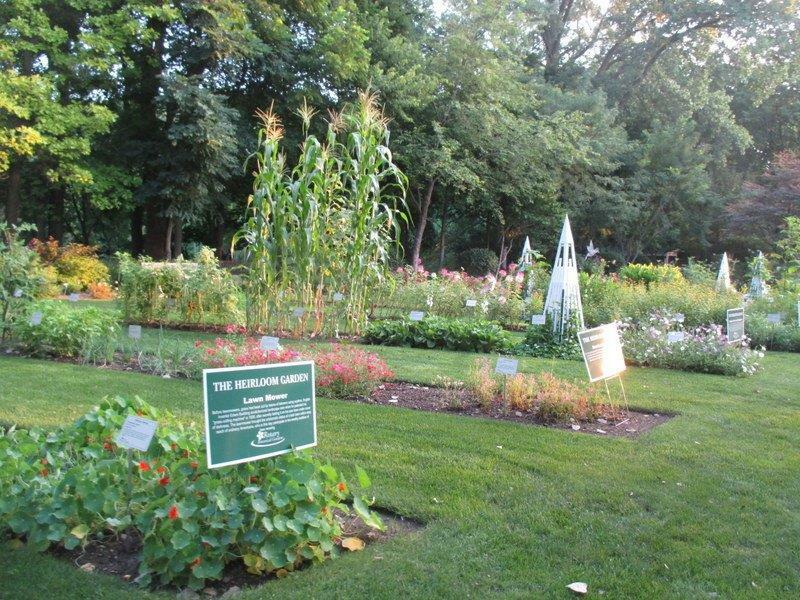 The Heirloom Garden comprises flowers with wonderful colors and aromas; herbs used as medicines, cosmetics, and flavorings; and vegetables that were staple foods of 19th century Americans and their livestock. Education is one of the cornerstones of Rotary Botanical Gardens, and all plants in the Heirloom Garden are labeled with scientific and common names. Signs explaining some garden-oriented characteristics of the 1800s are posted throughout the plot. Even though these mainstays of historic gardens are certainly “old-fashioned,” they represent today’s renewed interest in cultivating heirlooms. They are sold by nurseries and seed companies, and many gardening magazines and books feature how-to sections devoted to these tried-and-true plants. 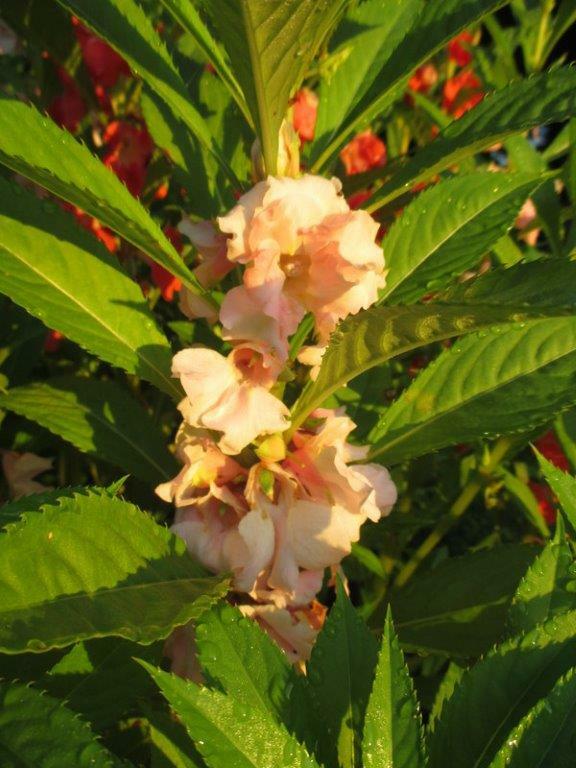 Following are just a few of the heirloom plants that you can see for yourself when you visit Rotary Botanical Gardens in the summer of 2017. Garden rue is an herb with narcotic properties that was commonly used by colonial Americans to treat colic, hysteria, and epilepsy. 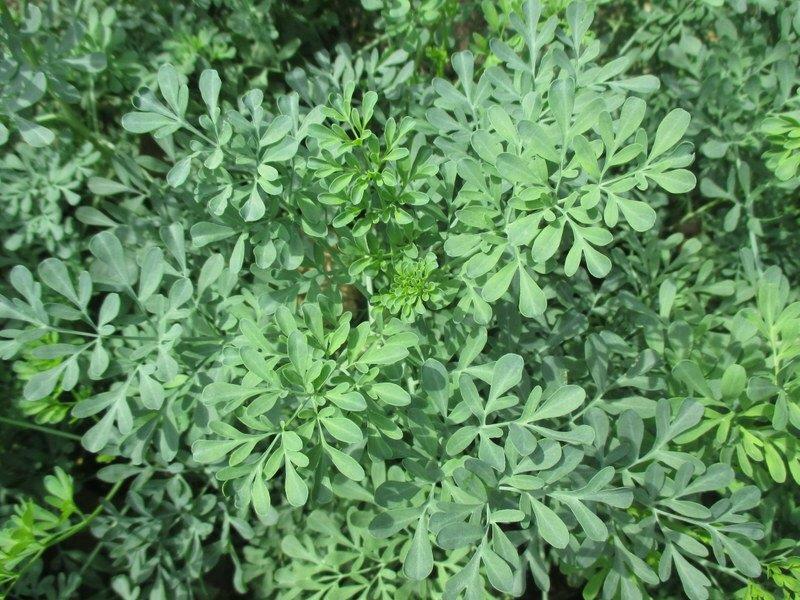 Although the bitter leaves can cause contact dermatitis much like poison ivy, their beautiful shape and unusual bluish color also make garden rue suitable as an ornamental. 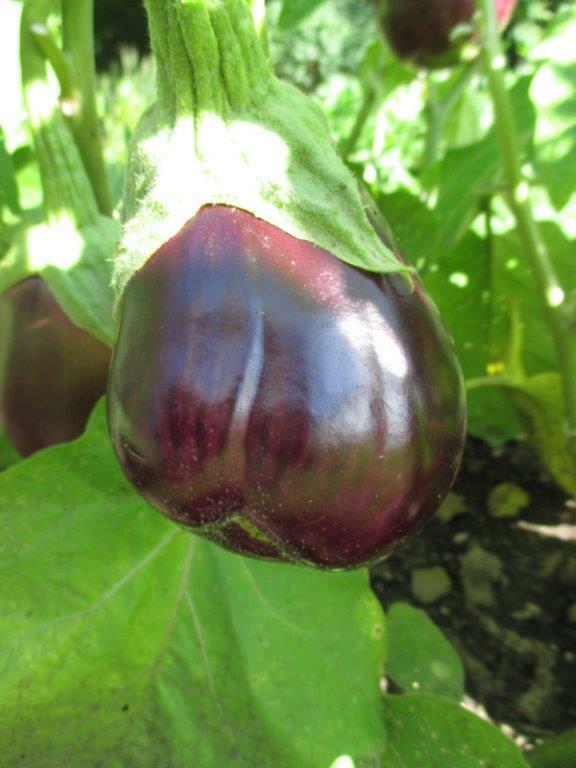 Eggplant was grown as an ornamental in American gardens until the middle 1800s when it was seen more often at the table. Thomas Jefferson was an early consumer of eggplant and President Andrew Johnson enjoyed stuffed eggplant with bacon. This variety was mentioned in 1865 by Fearing Burr, author of Field and Garden Vegetables of America, first published in 1863. 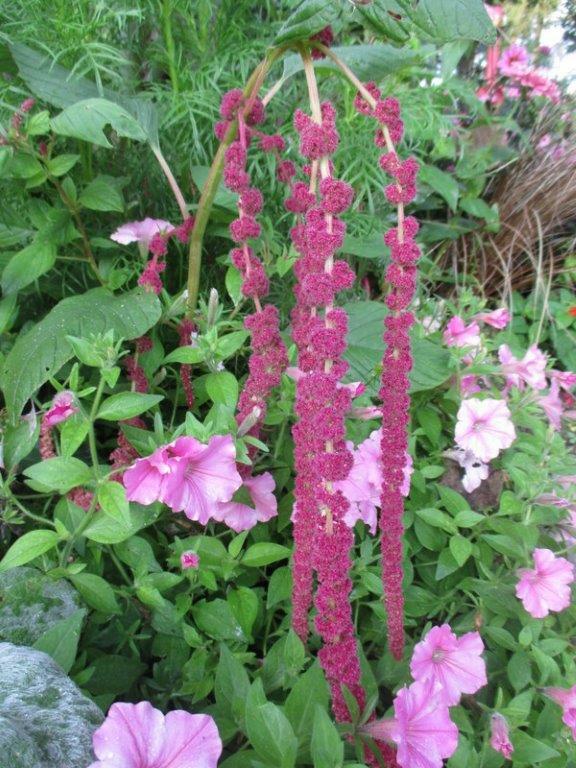 This unusual amaranth, with its deep red, drooping flowers that look like streams of blood, was known in France as “the nun’s whipping rope” and was often found in mid-19th century gardens. 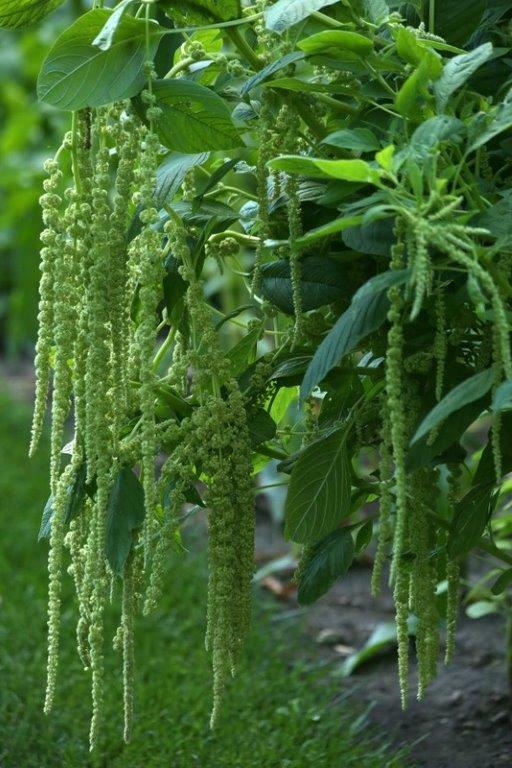 A striking counterpoint to the red variety, green love-lies-bleeding was often seen at funerals during the Victorian Era (1850 – 1900) because of the “everlasting” nature of its blooms. 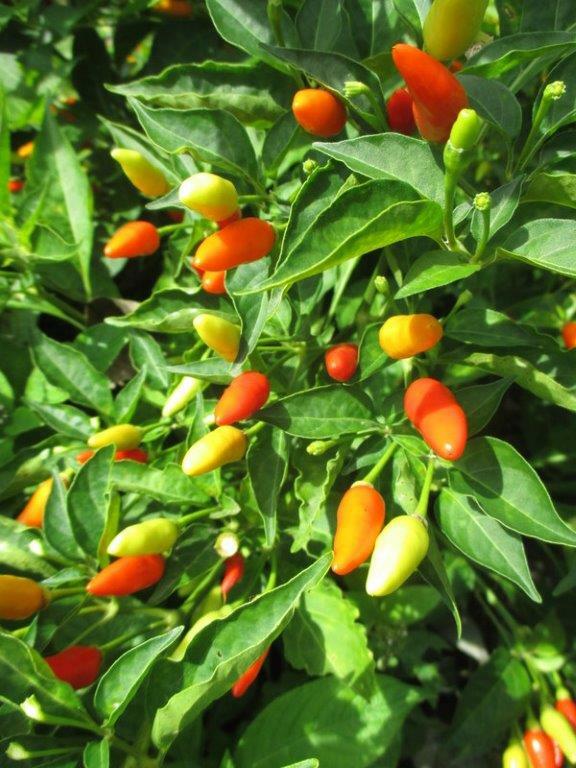 This hot pepper is the main ingredient in Tabasco sauce. In 1848, Edmund McIlhenny began growing ‘Tabasco’ peppers on Avery Island, Louisiana and by 1869 he was bottling the sauce in old cologne bottles for sale. The company remains family-owned today. Remember the Rotary Botanical Gardens spring plant sale, May 12 – 15, 2017 (Friends members’ presale on May 11). There will be a dozen heirloom vegetable varieties for sale, including tomatoes, peppers, celery, Swiss chard, cabbage, kale, kohlrabi, and eggplant. And be sure to make a summer-time visit to the Gardens to see all 100 heirloom plants and decide if your home garden could benefit from a blast from our horticultural past. Photo credits: Photograph of green love-lies-bleeding by Marsha Mood. All other photographs by Mark Dwyer. We encourage feedback and questions from you, our readers. To contact Pam, Janice or Patrea click here to send us an email. Plan to attend the upcoming Spring Symposium: Edible Landscaping on March 18, 2017, from 9:00 a.m. to 3:30 p.m.at Rotary Botanical Gardens, 1455 Palmer Drive, Janesville, WI 53545. 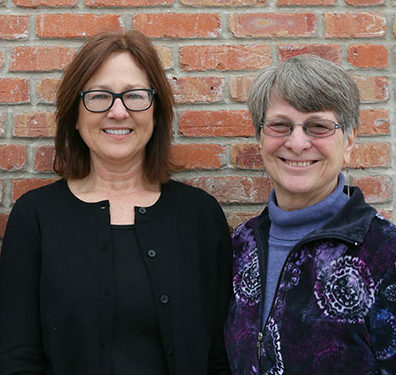 Guest speakers are Rosalind Creasy, celebrated author and landscape designer; Lisa Hilgenberg, Chicago Botanic Garden vegetable garden horticulturalist; and Mark Dwyer, Director of Horticulture at Rotary Botanical Gardens. Cost is $75 for non-members, $65 for RBG Friends members and active Master Gardeners. Register by March 16, 2017. 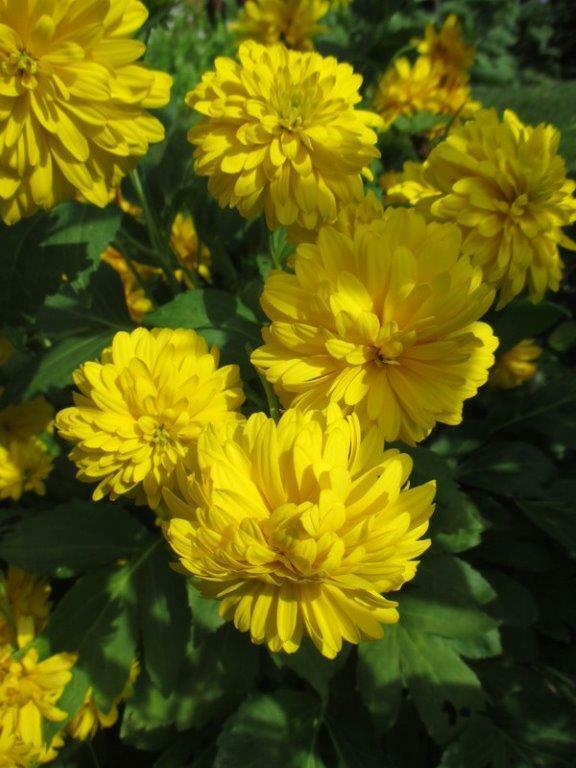 For more information visit our web page events calendar or call the Gardens at (608) 314-8412. Patrea Wilson is a member of the Cottage Garden Gallery staff and has been a grounds volunteer at RBG. She has helped develop several of RBG’s exhibit gardens, and always enjoys her time spent planting, weeding, and raking. Janice Peterson is a Grounds Horticulturist at RBG. Janice works on special projects, vegetable and perennial beds, helps organize the spring and fall plant sales, maintains the educational cutting display in the Parker Education Center, and leads a weekly gardening group for young adults with disabilities. Patrea Wilson is a member of the Cottage Garden Gallery Staff and a Grounds Volunteer at RBG. Patrea provides assistance in developing RBG’s exhibit gardens, and enjoys her time in the gardens while planting, weeding, and raking.